Breakaway collars help prevent collar-related accidents and injuries. KNOXVILLE, Tenn. (October 11, 2016) – According to the American Pet Products Association (APPA), more than 19 million dogs wear a collar daily. While commonly viewed as a form of protection and safety, an upwards of 26,000 collar strangulation accidents occur yearly in homes and establishments across the country. Crates and kennels, playing with other dogs, fences, heating/cooling vents, shrubs and branches are a few of the most common strangulation hazards dogs face each day. To help educate pet owners and professionals about the risks of strangulation and dangers associated with traditional collars, PetSafe® Brand is sponsoring its second annual Collar Safety Awareness Week, October 16-22, as part of National Animal Safety and Protection Month. Designed to prevent dogs from getting entangled by their collars, the PetSafe® KeepSafe® Break-Away Collar was invented by Tenney Mudge after the devastating loss of her beloved dog, Chinook, to a collar strangulation accident. The collar features a patented break-away safety buckle that releases when pressure is applied or it gets caught on something, allowing it to fall off harmlessly and reduce the risk of strangulation or injury to the pet. 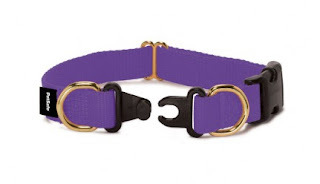 The KeepSafe collar also has a metal D-ring on each side of the breakaway buckle, which can be used to attach ID tags and can also be clipped together with a leash so pet parents can safely walk their dogs using the collar. In addition to the KeepSafe Break-Away Collar, PetSafe Brand has developed an informative videoand infographic to help pet parents protect their dogs. To learn more about Collar Safety Awareness Week, please contact keepsafecollar@petsafe.net. BETHESDA, Md., USA – Oct. 10, 2016 – Cat advocates have scheduled over 1,000 events worldwide to join Alley Cat Allies in celebrating the 16th anniversary of National Feral Cat Day on Sunday, Oct. 16, 2016. Inspired by this year’s theme, “All Cats All Communities,” supporters from around the world are advocating for the lives of cats and educating their communities about humane policies, like Trap-Neuter-Return (TNR), that help save cats’ lives and protect all cats in all communities. 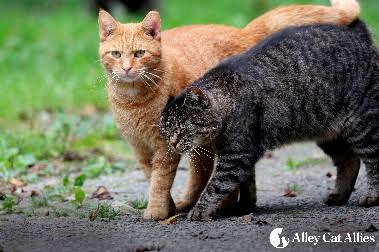 A full listing of events in local communities is located at NationalFeralCatDay.org/actions. Supporters worldwide have organized more events this year than any in the 16-year history of National Feral Cat Day. Volunteers in every corner of the world are holding spay/neuter clinics and food and supply drives, arranging educational sessions, hosting adoption events, encouraging official governmental proclamations, and raising funds to support local TNR programs. Even if you have just five minutes available, there is still time to get involved and help raise awareness about the issues that impact all cats. Visit NationalFeralCatDay.org/ideas to see simple suggestions such as signing a pledge to protect the lives of cats, sharing a selfie on social media to display your National Feral Cat Day pride, or reading a newsletter. Visit www.NationalFeralCatDay.org/gear and find educational materials to inform others, and gear to show off your National Feral Cat Day pride. Alley Cat Allies, the only national advocacy organization dedicated to the humane treatment of cats, launched National Feral Cat Day 2001 as a call to action to raise awareness about community cats, promote TNR as the only effective method of stabilizing cat populations, and empower and mobilize the millions of compassionate Americans who care about cats everywhere. Follow all the activities for National Feral Cat Day on social media with the #feralcatday hashtag. Photo of Kayla Little from Twitter. Kayla E. Little, 21, of Madison was charged today in Dane County Circuit Court with one count of mistreating animals causing death. According to the charging document, Little strangled her pet cat to death because it attacked her daughter. She told officers she felt as though she was "out of options", despite an earlier call to a veterinary clinic where she was given information on multiple organizations who would accept the cat. Little allegedly did not call the humane society because she didn't ask the veterinary office for the number, didn't have data on her phone to look it up, and didn't have a car to take the cat there for surrender. Instead, she admits to strangling the cat with her bare hands, stating "it felt like it took forever but think it was only a couple of minutes." The defendant also told officers she buried the cat in a box in the woods. 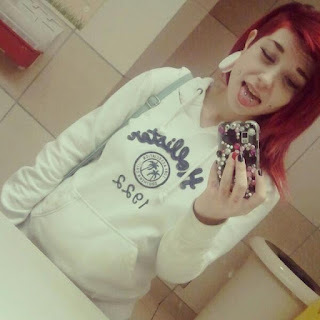 Little's next hearing will be held on February 1, 2016 at 1:30 PM at the Dane County Courthouse in Madison, WI.